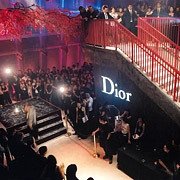 Two nights of events to celebrate the opening of One Peking Road, Dior’s Far East Asia Flagship Boutique in the spring of 2003 capturing the optimism of Dior in a SAR’s ravaged city. In a historic fashion party filled year, RSP produced some of the biggest and most covetable parties in the Asia region. 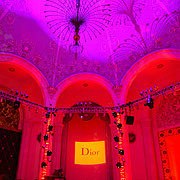 Dior Star led the way. 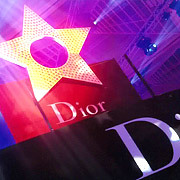 In 2006, Dior Far East staged the biggest fashion show in Asia until that time to showcase their first regional press presentation. RSP transformed the Shanghai Exhibition Centre into a stunning catwalk with seating for 1000 people and then produced a party for more to follow.